There are many people on this planet who know what an MMO and/or an MMORPG is, but by the same token – like so many things in life – there are also many people who don’t what those acronyms mean. MMO stands for Massive Multiplayer Online, and MMORPG stands for Massive Multiplayer Online Role-Playing Game. Some examples of these MMOs include EverQuest, World of Warcraft, Lord of the Rings Online, and the forthcoming and constantly-growing-in-popularity Star Wars: The Old Republic, which is still in beta and scheduled to be fully released December 20. They’re essentially online video games that allow for much more ability and opportunity than usual console-based video games, and have no real end point: with each new expansion, players have higher levels to achieve, more quests to do, and more of the world to explore. Players get all this and more for a monthly fee, or some MMOs are free to play (ftp), but payment is required for certain quests or items. There are literally millions of MMO players across the planet, and I’m proudly one of them. What’s interesting is that MMOs are starting to show up in fiction, mainly science fiction, usually as a construct of the fictional world the author has created. Sometimes it is a quasi dystopian future where playing the game is all there really is, while other books have the MMO be a main part of the story and play off it in the real world. It is an interesting growing sub-genre of science fiction that seems to get new additions each year. Below are the books featuring MMOs that I have come across in my reading and reviewing, though I am sure there are more out there and invite anyone reading this column to elucidate on them in the comments section. 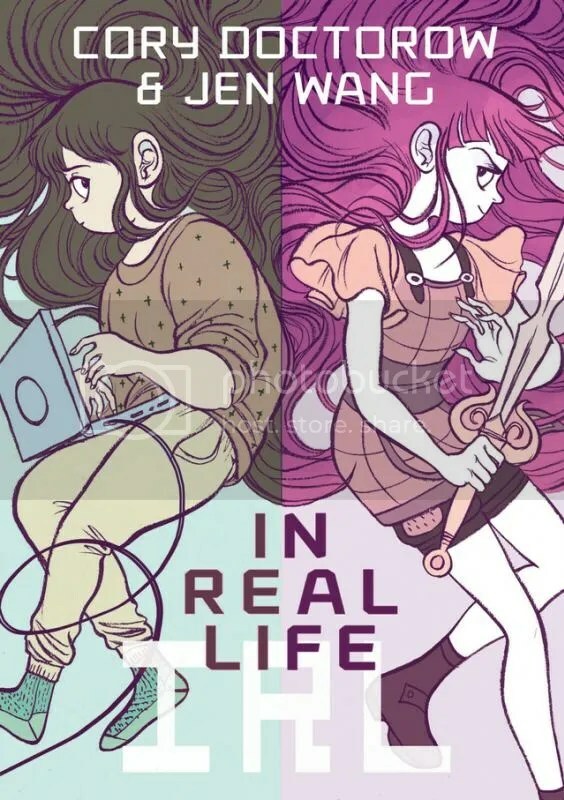 As you read about these books and their respective MMOs, what do you think it says about our world and our society? More importantly, what do you think it says about where we’re headed? How likely is it that some form of one of these MMOs will come to be our reality? You be the judge. Reamde by Neal Stephenson: Richard Forthrast is our approaching-middle-age hero who is one of the big brains behind the multi-billion dollar MMO, T’Rain, which is known throughout the world, whether you’re a rich white kid who likes to pretend he’s an elf, or a gold farmer somewhere in Asia looking to make some good money. T’Rain was in fact created with that in mind – Richard’s past is not a completely clean one by any means – to be open and available and possibly profitable to just about anyone on the planet with a good Internet connection. And then a very specific virus attacks T’Rain, known as Reamde, which immediately begins making a lot of money for its creators and screwing over a lot of the regular players. Richard and his team of brainiacs are now working round the clock trying to bring a stop to this. Ready Player One by Ernest Cline: In the not-too-distant future, the world is quickly going to hell in a hand basket. It’s very much a dystopian world, but within this gloomy, depressing place is an MMO that just about everyone plays. OASIS is not just a game, but a way a life for most, where you can have fun, meet friends, got to school, and pretty much lead a full and entertaining life under the guise of your anonymous avatar (whose façade is of your choosing). Depending on what people can afford, the experience can be fully sensory so that players feel as if they are actually existing in the world of OASIS and experiencing it in just about every way possible. 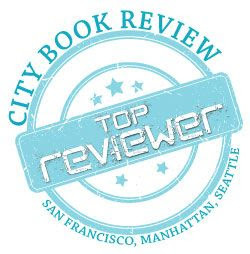 Omnitopia Dawn by Diane Duane: There are two worlds here: the compelling fantasy world of the massive multiplayer online game (MMO) Omnitopia and the real world where video game companies fight to keep doing what they do best and keep the fans hooked, and make lots of money. It is the near future and when one sits down to play an MMO – like Lord of the Rings Online or World of Warcraft – they can use the familiar screen and keyboard set up, or there is the full immersion into the game, akin to virtual reality only better, where one experiences almost all senses of the game. It is an incredible complex world of fighting and raiding, of gaining levels and increasing your wealth, and even eating and drinking with friends, while discussing your next strategies. But Omnitopia is unique as every once in a while it selects one of its subscribers to create their own unique world of their own choosing and actually make money from it. So there is the world of Omnitopia, and then there are the thousands of other user-created worlds covering all of history and the imagination. The result is a game that one can quite literally be completely absorbed by, almost forgetting the real world. 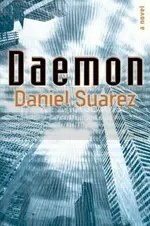 Daemon by Daniel Suarez: Daemon begins with Matthew Sobol, a renowned computer programmer and video game designer, dead from cancer. It is upon his death, when the obituary is posted online, that the dormant daemon is unleashed upon the world. In this world – just like our own – everything is automated and computerized: banking, transportation, defense, government, patient records; there are few things remaining “off the grid.” The daemon works fast and incredibly efficient, beginning a systematic takedown of technology and world systems, causing deaths and the collapse of companies, and a financial meltdown that is scarily similar to the current economic climate. As you can see, each MMO is quite different in each book, and in how the MMO is used as a construct. Sometimes it is a tool for good, sometimes a tool for evil, and sometimes a tool for something completely different. Regardless of what the future may hold for us in the growing world of MMOs, and whether any of these possible and seemingly plausible realities will come into being, the fact that this subject is being written about by a growing number of different authors sends a message that this is not something we can just ignore or assume will go away. MMOs are here to stay, whether some of us like it or not, for good or ill; the question remains: how are they going to stay and what affect will they grow to and continue to have on our lives. Only the future knows. By now many people will be familiar with the bestselling co-editor of Boing Boing, Cory Doctorow, after the young adult novel Little Brother, and his great adult book, Makers. Doctorow clearly has a knack for not just being to be able to string a bunch of words together creatively and skillfully, but each and every story is an important “What if?” to tell. Sometimes Doctorow offers dates, sometimes not; but readers can usually guess his stories are set in either the near future or within the next hundred years, involving a possible future that will capture, delight, and sometimes terrify. Doctorow seems to grasp at our idle thoughts of this century and the next, transforming them into a believable possibility that really makes us wonder. With a Little Help collects thirteen of his short stories that have seen publication in anthologies or magazines or other media over the past few years revealing Doctorow’s ability to tell a great, captivating science fiction story not just in long form, but also in short with developed characters you can connect with and a story that will haunt you and stay with you long after you have finished it. 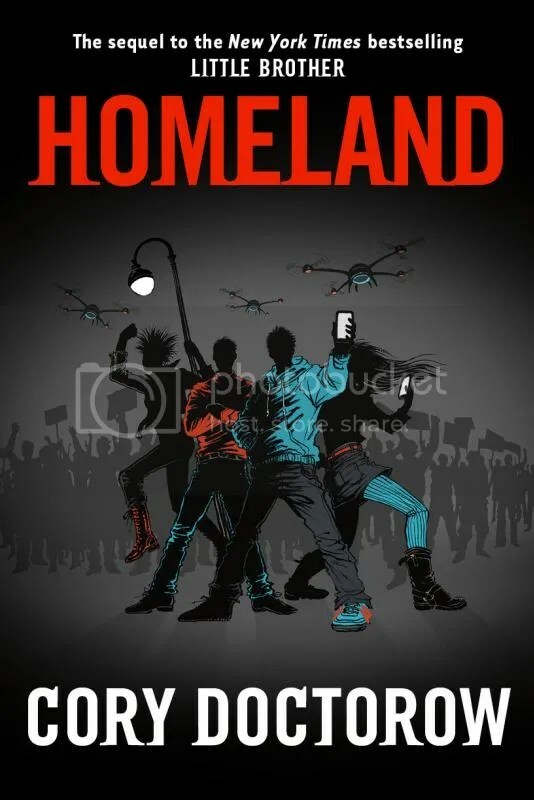 Whether it’s the Internet, government, politics, or religion, Doctorow seems to have a unique take on it all, presenting a world that we’re encroaching upon right now, or will be in the ensuing decades. The book is also an experiment in itself, only available as a print on demand in printed form, or available free as an ebook, though donations are politely requested through his website. 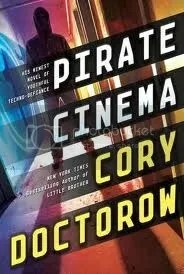 One might think in this day and age of piracy and scouring the Internet for illegal free items, this concept would result in failure, and yet this great collection continues to make money, which Doctorow isn’t ashamed to hide with monthly financial reports. Perhaps, then, this is the message he is trying to share in his compelling stories: there is still hope . . . Originally written on June 7, 2011 ©Alex C. Telander.